For decades, travellers have been coming to the Maldives in search of sublime sun and unrivalled natural beauty, but now Conrad Maldives Rangali Island gives another reason to tempt holidaymakers to its shores – their taste buds. This year, some of the world’s best chefs and winemakers are descending on the luxury resort to give guests an unparalleled dining experience with their gourmet gastronomy. Conrad Maldives Rangali Island continues to be at the forefront of destination dining with some 12 restaurants and bars all distinguished by the diversity of cuisine and uniqueness of settings. 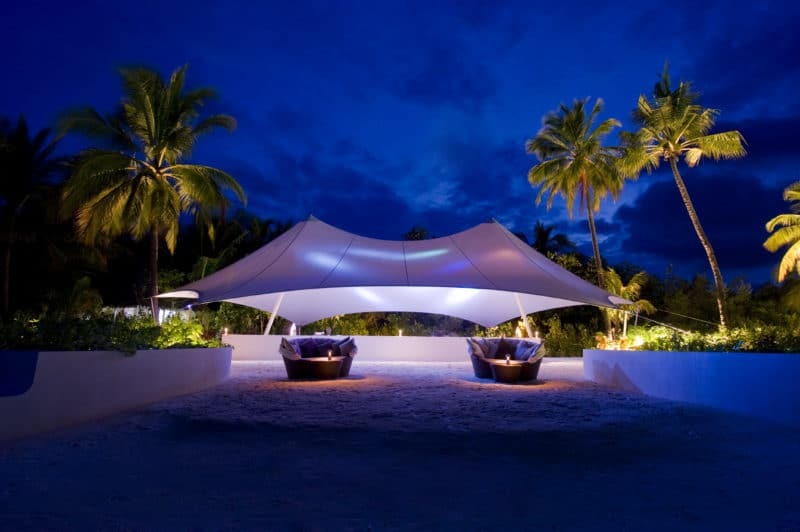 A food destination of firsts, being the first to understand that a remote location need not prohibit fine dining and good wines, the resort continues to tantalise guests’ taste buds with the best food and wine experiences not seen before in the country. Whether it’s sipping handpicked wine presented by biodynamic burgundy pioneer Vincent Giardin, enjoying a teppan dinner of fresh lobster under the stars at Koko Grill presented by Conrad Tokyo teppan Chef Nobuyasu Kamiko or crossing the bridge of Chinese Art and French Wine at Ufaa by Jereme Leung; these are tempting experiences worth travelling for. The Maldives’ first authentic Chinese restaurant has been handpicked to become the islands nation’s first Krug Ambassade restaurant. Ufaa joins an elite international network of exceptional restaurants including the UK’s iconic Fat Duck and Murano, Dinner at The Mandarin Oriental and l’Hôtel Georges V in Paris. Leung’s carefully crafted authentic and contemporary Chinese flavours featured are a perfect complement to Krug Champagne’s philosophy of quality and timeless taste preferred amongst luxury travellers. Krug Grand Cuvée will be available by the glass and the bottle. Guests will be treated to the cosmopolitan flavours of Tokyo in a meeting of two hotel greats. Head Japanese chef at Conrad Tokyo’s renowned Kazahana restaurant Nobuyasu Kamiko will showcase his culinary flair from March 2 to 15, 2015 at Conrad Maldives’ beach-front teppanyaki restaurant Koko Grill. Complemented with matching sake by Conrad Maldives head sommelier Kamal Malik, the eight-course menu is a must-try for the gourmet traveller and combines elements from Kamiko’s Japanese cuisine such as scallops wrapped with bamboo leaf and grilled lobster with shiro-miso denaku. The price for this one-off experience is $250 per person including eight courses and a glass of sparkling sake. 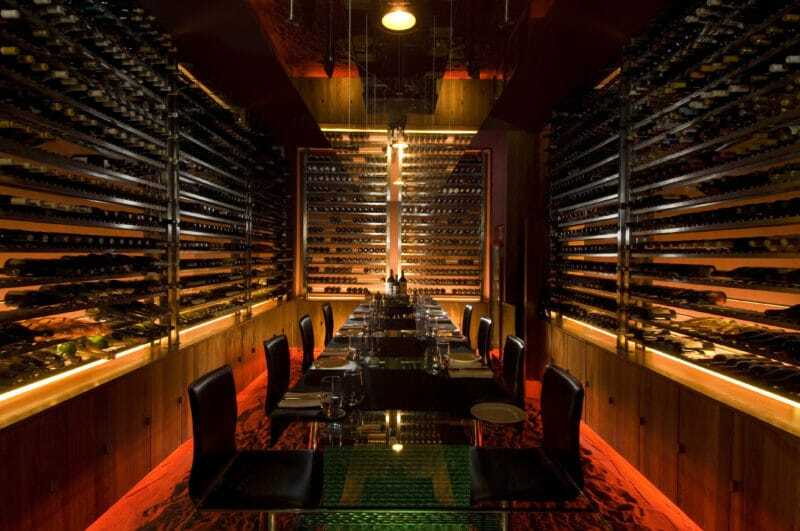 Prepare your palate on March 30, 2015 as top burgundies from fine wine producer Vincent Giardin are showcased alongside a five-course dinner at The Wine Cellar, priced at $295 per person. Another five-course dinner with Vincent Giardin-paired burgundies is planned at over-water restaurant Mandhoo on April 2 for $255. Both evenings will be hosted by Marco Bruno Caschera, Brand Ambassador of the Vincent Giardin estate. With winemaking in his blood after being born into a family who have produced wines since the 17th Century, Vincent prides himself on producing biodynamic fine wines with no pesticides, chemical fertilizers and weedicides. He harvests by hand and demands a high standard which propels him one of the best in the world. An artistic marriage of East meeting West, April 18, 2015 will mark Ufaa by Jereme Leung’s first winemaker dinner in collaboration with boutique winery Pont Des Arts, an exclusive, limited collection of wines created with the support of the finest winemakers from France and greatest artists from China. Presented by Thibault Pontallier one part of the duo behind Pont Des Arts, Pontallier, son of Paul Pontallier, Managing Director of Chateau Margaux will present a selection of wine from Bordeaux and Burgundy with vintages ranging from 2010 – 2012. Each vintage features art from renowned Chinese artists Zao Wou – Ki and contemporary artist Yue Minjun. The wine has been expertly been matched to a specially designed menu by Conrad Maldives Executive Chef and Ufaa namesake, Jereme Leung. Cost is $275 per person.